WHAT DO WE DO WITH A PROBLEM LIKE SCOTTISH MPS? 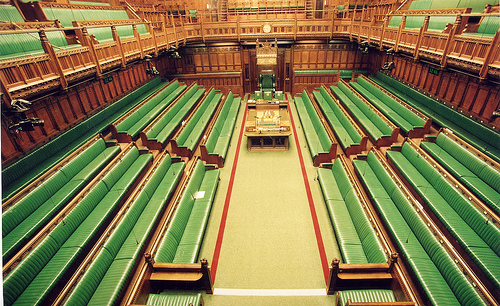 What do we with a problem like Scottish MPs following a Yes vote in the independence referendum? After 19th September we will still be Members of the United Kingdom Parliament and given that Scotland will still be part of the United Kingdom until March 2016 we will still be entitled to contest next year’s General election unless there is some sort of postponement. This is a question that is increasingly consuming my colleagues in Westminster who now see a real possibility of a Yes vote and are starting to consider some of the consequences for the rest of the United Kingdom, particularly the impact on how the House of Commons would function. So let me as a Scottish MP, intending to stand for a seat in the UK Parliament next year offer a view on what the role of Scottish MPs could be, and how we could still serve our constituents without affecting legislation or a rest of the UK Government. 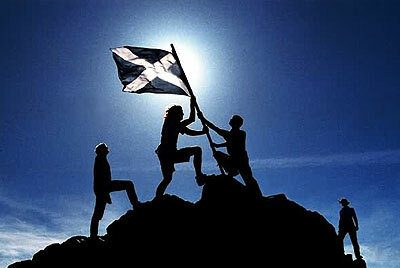 Following a Yes vote, Scotland will still be part of the United Kingdom until the point of independence in March 2016. Accordingly, Scotland will still be entitled to send 59 MPs to Westminster. Westminster fleetingly looked at this issue in the Spring of this year and voted against a motion calling for Scottish MPs to be removed immediately following a Yes vote and a House of Lords Committee concluded that Scottish MPs should stay until independence. There is therefore no great enthusiasm to throw Scottish MPs out immediately following a Yes vote and there is an understanding that we should remain at Westminster to represent our constituents and participate in functions still reserved to Westminster in this transitional period. However, I believe that a new role, and new rules, must be found for Scottish MPs to make sure that we can still represent our constituents without upsetting the democratic will of the rest of the UK. This is important because the period between a Yes vote and Scotland becoming independent Westminster will still exercise many responsibilities that impact on constituents in Scotland represented by Scottish MPs, and those constituents will still be dependent on Westminster MPs to take these up on their behalf. These constituents will require their MP to speak up for them on matters such as welfare, immigration, consular support and a whole host of other important issues that will still be discharged by Whitehall. Scottish MPs must be allowed to raise these on behalf of their constituents, ask questions on their behalf in Parliament and speak up for them if their interests require it. The people who we represent must come first in this transitional period and our constituents must continue to have a voice. There is also the little fact that the independence negotiations will be just about the main feature in the UK Parliament and Scotland will need MPs to put Scotland’s case in the House of Commons. As for legislation, that is an entirely different matter. We should pledge that we will not concern ourselves with any rest of UK legislation and allow that legislation to pass without our input, vote or concern. An incoming UK Government will be more than aware that Scotland will becoming independent so they would therefore shape any legislative programme around that fact and ensure that in the territorial extent included in the first few paragraphs of a bill, Scotland is excluded. If they did (for some reason) decide they did want to bring in legislation to include Scotland, in the process of becoming independent, then we should be allowed to participate and vote. If there is any dispute in determining this a process of certification through the Speaker’s office would be established to officiate. To achieve this a resolution of the House could be drawn up which debar Scottish members from participating in or speaking on rest of UK matters. This recusal could then be enforced if Scottish members felt they could not voluntary agree. This then comes to the thorny issue of the setting up of a UK Government. Again, we should exclude ourselves and play no part in the determining of a Government and our numbers should not count in any final outcome. Only MPs representing the rest of the UK should be allowed to be included in the numbers to establish an incoming Government. Again this could be agreed by a pledge, but another resolution of the House could be designed if any Scottish MPs felt they were not in a position to agree to this. This then would allow us to represent our constituents and speak out on independence transitional arrangements without affecting the ability of the rest of the UK to establish an enduring stable Government and get its legislation through. This is surely better than leaving the matter unattended and allowing the possibility of a further election in 2016 because the votes of Scottish MPs are determinate in the composition of a UK Government. Agreeing to an arrangement like that would demonstrate the good positive working relationship both new nations would wish to adopt and demonstrate mutual respect for each others position going forward. Our independence is all about securing the Government we vote for in Scotland. We must similarly respect that in the rest of the UK. This entry was posted in Uncategorized on May 29, 2014 by petewishart. Yesterday the silly Scottish Affairs Committee held a debate on its report on the bedroom tax in Scotland. Coming the week that we promised to mitigate in full the effects of the bedroom tax, you would have expected a ‘thank goodness for that’ mood amongst all of us crammed into Westminster Hall who have fought so hard against this iniquitous Tory tax. Not a bit of it. Listening to Labour members you would almost think it was the SNP that was responsible for this tax, that its mitigation was nothing to do with us and it was all down to their efforts! I won’t go into the fact that we can only mitigate and not abolish. I won’t even go into individual Labour members whining about why they failed to turn up to a critical ‘Labour’ vote when the tax could have been beaten in the Commons. Instead, I want to draw your attention to this little snippet of almost outrageous Labour hypocrisy. With little to say in their redrafted report, the main plank of their complaint against the Scottish Government was their view that we will not recompense the many Scottish people who have suffered financially under the bedroom tax and their demand that we should now repay every single person in full for their losses under this Tory tax. Whether this is even possible is debatable and how this would be done is at best uncertain; what is without doubt is that no Government has ever made retrospective payments when abolishing particular benefits. I was therefore inclined to ask this of the committee’s chair. 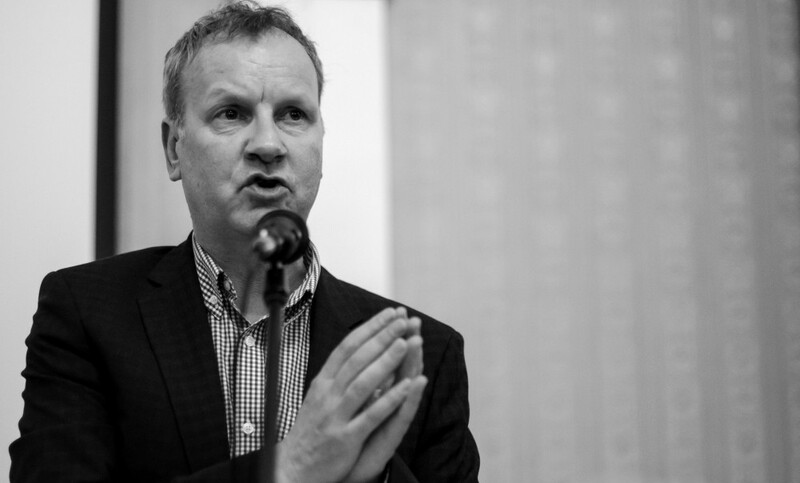 Pete Wishart: I accept the Labour party’s sincerity about scrapping the bedroom tax—it has said that it will do so at the earliest opportunity—but will the hon. Gentleman direct me to the Labour shadow Minister’s comment that Labour will pay in full any arrears of the bedroom tax built up in the rest of the UK? How much would it cost the rest of the UK? How would the UK Government pay for it? Mr Davidson: Regrettably, we are not in power at the moment. We do not have the power either in Scotland or in the UK to take such decisions. Fair enough. They’re not in power but they could at least say that they are intending to make these repayments. This is only what they are asking the Scottish Government to do. So waiting for the Labour Shadow Minister to get to his feet I was beaten to it by the hapless committee chair when he asked. Mr Davidson: Does my right hon. Friend the Member for East Ham—my party’s spokesman—accept the recommendation of the report that all bedroom tax should be written off and all payments made refunded? Would he, like me, welcome the opportunity to go into a general election with the slogan, “Vote Labour and get your bedroom tax back”? And what did he get in response? Stephen Timms: That sounds a very good slogan, but, sadly, I cannot give my hon. Friend the assurance that he seeks. And with one volley of friendly fire the whole case of the dysfunctional Scottish Affairs Committee was blown away, no bayoneting of the wounded required. I’ll leave it up to you dear reader to describe this type of behaviour from Scottish Labour. I can only describe it as typical. Labour of course can’t make this commitment as it would cost hundreds of millions of pounds and they would have the same difficulties as any Government in identifying those who were genuinely bedroom tax victims. Labour have also backed the Tories welfare cap and are therefore bound by strict public spending limits on the welfare budget. The Scottish Affairs Committee love their separation debates. Yesterday they were separated from their own front bench and hoisted by their own unionist petard. For reference I also include the quite excellent speech from Eilidh Whiteford. Here is how you make a real meaningful contribution on the issue of the bedroom tax. Dr Eilidh Whiteford (Banff and Buchan) (SNP): It is a pleasure to serve under your chairmanship, Mr Bone. When discussing the report today, the key issue that we should not lose sight of is that the bedroom tax should never have happened in Scotland. There has been a broad cross-party consensus that it is a regressive measure and it should be abolished. However, the truth is that it should never have been introduced in the first place. It was brought to us by a Tory Government—propped up by their Liberal Democrat allies—for whom people in Scotland did not vote, and it reflects the same Tory values that brought us the poll tax 25 years ago, and which have been rejected time and again at the ballot box. authorities, housing associations and organisations representing tenants, as well as by Members of Parliament here and in Edinburgh. To a large extent, the report we are debating today has been overtaken by events, given that a few days ago the Under-Secretary of State for Scotland said that the UK Government would provide Scottish Ministers with a power to set the statutory cap on discretionary housing payments in Scotland, using section 63 of the Scotland Act 1998. The Deputy First Minister made a statement in the Scottish Parliament yesterday and, I believe, met the Under-Secretary earlier today to discuss the process from here. That is a very welcome, if belated development, and follows several months of silence from the UK Government on the issue. Yesterday’s announcement paves the way for discretionary housing payment to be made to everyone affected by the bedroom tax in Scotland. As the law stands, the only legal way to make regular and ongoing payments directly to tenants to make up for their loss of housing benefit is through discretionary housing payments. The UK Government has allocated Scottish local authorities £15 million for discretionary housing payments, but that is less than a third of the £50 million needed to mitigate the penalty for everyone affected. Pamela Nash (Airdrie and Shotts) (Lab): Does the hon. Lady accept that local authorities in Scotland have found other ways to give money to their tenants and residents to mitigate the impact of the bedroom tax, without using DHP? Can the Scottish Government not also use that, as the UK Government have confirmed? Dr Whiteford: I am grateful to the hon. Lady for raising that point. It is something that parties in Scotland have looked at very closely, and I know that senior Labour MSPs such as Jackie Baillie and Iain Gray have very much been part of discussions with the Scottish Government about those issues. Even they have agreed with the Scottish Government about the way to distribute the extra money, in compliance with the law as it stands. They agree that DHPs are the only clear legal route to provide funding for bedroom tax arrears directly to the people affected on a regular and ongoing basis. We are having to jump through a lot of legal loopholes. It is clear there are some solutions—the Scottish Government, certainly, were looking at them very carefully—but it seems that the clearest way forward is through discretionary housing payments and the challenge for all of us is to make sure that they are made. Dr Whiteford: I will not give way just now, because I have quite a lot to say and I need to make some progress. is that councils in Scotland have been allocated extra funding up to the limit of the Westminster cap on how much an individual local authority is allowed to spend on discretionary housing payments. Across Scotland, however, that still leaves a £15 million shortfall, which can be allocated only once the cap is lifted. I have raised the issue of the cap on several occasions both with Department for Work and Pensions Ministers and with Scotland Office Ministers. The Deputy First Minister wrote six letters, and I raised the issue personally with the Deputy Prime Minister. COSLA wrote, as did the Scottish Parliament’s Welfare Reform Committee. It has taken much longer than it should have. It is also worth making the point that the UK Government have not committed to lifting the cap, but will transfer powers to Scottish Ministers to allow them to do so. Inevitably, that two-stage process will take longer than if the UK Government had agreed simply to raise the cap. Fiona O’Donnell: That is exactly why East Lothian housing association in my constituency took action to write off arrears. Is the hon. Lady saying that it has acted illegally? Dr Whiteford: By no means. I commend the work that has happened in some local authority areas and with some housing associations, but that is perhaps a more feasible option for some than for others. The agreement that has been reached among the parties in Scotland, on a cross-party basis, is that the discretionary housing payment system offers the clearest legal route to do that in a way that can be regular and ongoing. It is a bit of a legal quagmire, as far as I understand it, and it is not as straightforward as it might first appear. It is also not always easy to disentangle what are bedroom tax arrears and what are arrears due to another financial hardship such as losing one’s job, other welfare reforms or other loss of income. It is not entirely straightforward. Nevertheless, it is a very serious issue and I absolutely share the hon. Lady’s concerns. I am glad that we have a commitment to proceed under section 63 of the Scotland Act. I pay tribute to the Under-Secretary of State for Scotland, who has succeeded where the DWP has failed over the past five months. I hope that the Minister will use this opportunity today to outline a speedy timetable for that process to be enacted. It means that local authorities can plan ahead on the basis that the shortfall will be met in full and that they will have funding to ensure that every single tenant subject to the under-occupancy penalty can receive a discretionary housing payment. Twelve of our local authorities already have a full funding allocation to mitigate the bedroom tax in their areas. The rest have extra funding up to the level of the cap and can now be assured that the rest is coming, just as soon as the relevant orders can be laid in Parliament. been fully funded and there is no excuse for anyone who is subject to the bedroom tax to be left without the support that they need. Katy Clark (North Ayrshire and Arran) (Lab): The hon. Lady will be aware that different local authorities are taking very different approaches. For example, in Renfrewshire, which is adjacent to my constituency, staff are employed to go around proactively and get people to apply for discretionary payments. In my area of North Ayrshire, that does not happen. Does she think that the resources need to be put in to ensure that that happens, if we are going to follow the path that she is suggesting? Dr Whiteford: The hon. Lady makes a really important point, because there are a range of practices across local authorities. However, this is very much their responsibility, and I hope that they will be putting in place a more proactive approach across the board. I know that some have already done that in dealing with other aspects of welfare reform, but I also know that the Scottish Government have made it very clear to every local authority that that money is to be used for the purpose for which it is intended—to mitigate the effects of the bedroom tax—and they need to ensure that everyone gets it. It is incumbent on us all to ensure that our constituents know that and to encourage them to get their forms in. After all, it is in the interest of local authorities to ensure that people do not fall into arrears, because that just creates further problems for them down the line. I am confident that most local authorities in Scotland will be keen to ensure that that policy is properly implemented. The mitigation measures mean that no one should fall into arrears or face eviction because of the bedroom tax, but we cannot ignore the fact that it is still on the statute book. The Scottish Parliament does not have the power to abolish it. That means that tenants are still legally responsible for the shortfall in their rent caused by the cut to housing benefit. We should not lose sight of the fact that in order to mitigate the worst impacts of Westminster’s bedroom tax, money has had to be diverted from other devolved spending priorities. The bedroom tax and the other changes to housing benefit are only one aspect of the UK Government’s assault on people in low-income households. By the end of this financial year, about £4.5 billion will have been taken out of the pockets of people on low and middle incomes in Scotland through welfare reforms and other changes to the tax and benefits system. The figure will rise to £6 billion by 2015-16. Apart from in the bedroom tax itself, that is most evident in the changes to tax credits, which have cost 110,000 households in Scotland an average of £700 each, and of course the uprating of working-age benefits at a level substantially below inflation, which has meant real-term cuts in the value of support. The freezing of child benefit means that, cumulatively, a family with two children will be more than £1,000 worse off by next year. In many cases, the people who have been hit by the bedroom tax are the same people being affected by those other changes. It is those people whom the mitigation measures will help, but we must recognise that we cannot fill a black hole of £6 billion without the powers and the budgets to do so. need to be clear that it is a damage limitation exercise, not a solution. As well as the extra £50 million for the bedroom tax, the Scottish Government have put in place arrangements to ensure that 500,000 people in Scotland still get council tax benefit, and have introduced the Scottish welfare fund, which so far has helped 35,000 people. However, the Scottish Government do not at the moment have the powers or the budget to plug a £6 billion cut in public spending. People would think, listening to the earlier comments today, that the bedroom tax was dreamt up in Scotland and was being imposed by the Scottish Government. The truth is that the bedroom tax is the brainchild of a callous Tory-Liberal coalition Government whom people in Scotland simply did not elect. Responsibility for the bedroom tax rests right here in Westminster. The fact is that housing benefit is a reserved issue and this House has the power to scrap the bedroom tax. Katy Clark: Will the hon. Lady give way? Dr Whiteford: I will give way one last time. Katy Clark: Does the hon. Lady not believe that the Scottish Parliament should be looking to raise the amount of money that it receives through taxation? Can she explain why her party will not support measures such as raising the higher rate of income tax to ensure that we have more money to spend on welfare? Pamela Nash: Will the hon. Lady give way? Dr Whiteford: I said that I would not take any more interventions, so I will not. [Interruption.] Well, I did say that earlier. A defeat in the Commons would have forced the Government to rethink their approach, because it would have shown that even their own Back Benchers in the coalition recognised the manifest injustice of the bedroom tax, but that vote was lost by a margin of 26 votes, and 47 Labour MPs did not vote for their own motion. They included 10 Scottish Labour MPs, who apparently were in cosy pairing arrangements with their Tory counterparts. That was the best real chance we had at Westminster to sink the bedroom tax, and it was wasted. demands from our constituencies, but for matters of importance, most of us will move heaven and earth to be in the Lobby when we need to be. Those who missed that vote need to ask themselves whether what they were doing was really more important than voting down the bedroom tax. Graeme Morrice (Livingston) (Lab): Will the hon. Lady give way? Dr Whiteford: I am winding up my speech, so I will not give way. The bedroom tax and the other changes to our tax and benefits system that are fuelling poverty and hardship in communities across Scotland are the price that we pay for being governed by people we did not vote for. 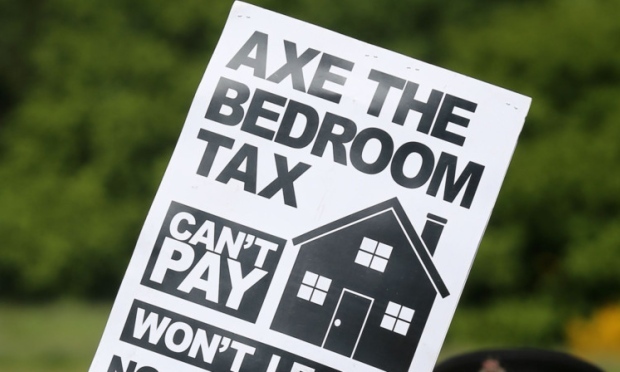 Scottish MPs overwhelmingly opposed the bedroom tax, but we have it anyway, and even now we cannot get rid of it; we can only seek to limit the damage that it is causing. The bedroom tax illustrates perfectly why Scotland needs decision-making powers on these issues. I am looking forward to the day when the people of Scotland have a Parliament with the normal powers of a normal state, a Parliament that is elected by us, responsive to us and accountable to us and that can consign the bedroom tax to history once and for all. This entry was posted in Uncategorized on May 9, 2014 by petewishart. I don’t really care much for nationalisms, of any form, and I always have had great difficulty in recognising the person that is regularly pigeon holed and dismissed as a ‘Nat’ by political opponents. I believe in inter-dependence, international solidarity and social democracy. I am a passionate Scot who loves this country and fundamentally believes in the abilities of the people who live and work here. I believe that my country would be a better place if we had the normal powers of self-Government. That is why I work so hard to achieve a Yes vote. It’s remarkable that in a campaign about independence so little has been said about identity and even less about ‘nationalisms’. Maybe it’s because everyone agrees that we are all ‘proud Scots’ and this applies if you are for or against independence. As a nation we are culturally secure with a profound sense of our Scottishness, we know there is no existential threat to what informs us as a nation and culture. There is also the fact that nearly all of our cultural institutions and arts administration bodies are effectively independent anyway. Our Scottishness has survived the Union and our parliament has ensured that it is forever safe. Where Scottishness features little in the debate Britishness, or British nationalism, features even less. The Nos occasionally raise a sort of overtly sentimental Britishness (without actually calling it that) without any great enthusiasm. They know they have to be careful how this is presented as ‘Britishness’ ranks well below ‘Scottishness’ as an identity choice for the vast majority of Scots. For us on the Yes side we just look on with bewilderment as Unionist politicians present this dewy-eyed vision of a ‘glorious’ British past wondering what on Earth it has got to do with the debate that is currently being conducted about our future! For us, Britishness will be a feature of an independent Scotland as we go forward and we are keen to develop and build new British institutions as an equal partner. I wholeheartedly agree with the positive historic image of ‘Britain’ that the Nos present and shout a rousing ‘hear, hear’ when I listen to them talk of a Britain as the ‘idea’ that built the NHS and stood together in the war. The thing is that our joint heritage is something that we are all proud of and is something that will inform our future journey as we go forward as an independent nation. Independence can actually even reverse the decline of the idea of Britishness, a concept that has consistently been on the wane and which I feared might even eventually go in a devolved Scotland. We also recognise the positive contribution that ‘Britishness’ makes to Scottish cultural life and if someone told me that I would now welcome my own Britishness a few years ago I would have almost choked on my jellied eels. Where the referendum has absolutely nothing to do with Britain it has everything to do with the political union of the United Kingdom. The referendum will be decided on how we determine our relationship with this peculiar political institution. Some unionists try and conflate the UK state with Britain and Britishness by suggesting that by voting for the UK it means you are voting for Britain and equally if you vote Yes you would be voting to leave Britain and abandon ‘Britishness’. This is, of course, nonsense and even impossible. We are primarily British by virtue of geography (most of us live on the island of Greater Britain within the British Isles) but more importantly the institutions and joint culture we have built together is as much ours in Scotland as it is the rest of the UK’s. You simply can’t deprive a nation of its history like you can deprive it of the pound. Where we will continue to enjoy our joint cultural institutions across Britain independence gives us the opportunity to regain our place in the world. Independence will allow us to make our own international contribution and speak for ourselves in multilateral institutions voicing our own distinctive approach based on our democracy and political values. We will be responsible for ourselves and we will at last secure that national self-respect and dignity that all other normal self-governing nations take for granted. Becoming independent completes the picture of ourselves. I don’t really care for nationalisms, of any form, but I want our Scottish voice to be heard in the world. That is why I work so hard to achieve a Yes vote. This entry was posted in Uncategorized on May 5, 2014 by petewishart.